When LG launched its G2 flagship last year, the industry as a whole had some pretty high expectations. Some seriously bleeding edge internals tend to cause such hype. 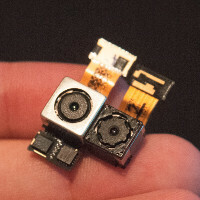 But one specific part of the hardware sheet of the G2 stood out in our eyes, as it essentially cemented the notion that a new kind of tech is planning on sticking around: OIS, or Optical Image Stabilization.